Soooo…. I’ve never really been a huge fan of blueberries. They’re just not sweet enough for this girl. Unless of course they’re baked with tons of sugar and stuffed into a muffin. Then I am so down with blueberries. Same with rhubarb and raspberries. Add a bit (or a lot) of sugar to them and I’ll devour them! Remember when I said I was conquering my sugar addiction? Ha! Sorry friends, still craving it daily. That’s kind of how these muffins came about. I couldn’t get those damn chocolate costco muffins out of my head! Then I saw blueberries at the store… and all of a sudden I just had to have a blueberry muffin. 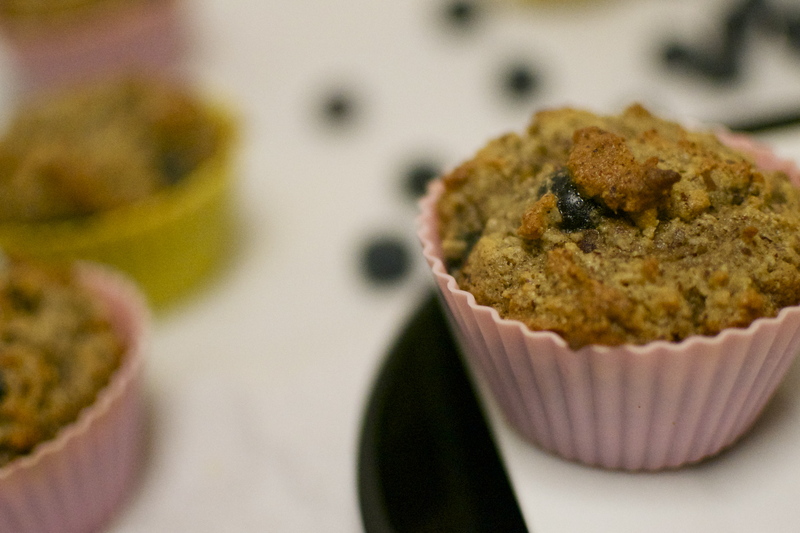 A real blueberry muffin, not a mushy, bland, “healthy” muffin. I wanted a muffin with texture and flavor, no gluten or other grains, low in sugar, and some actual nutrients. Asking too much? Preheat oven to 350. Either line muffin tins with paper liners or place silicon liners on a baking sheet. In a large mixing bowl combine eggs, the melted shortening, the maple syrup, and vanilla. Mix in the almond flour, coconut flour, baking soda, baking powder, salt, cinnamon, and lemon zest. Gently stir in the blueberries and let the batter sit for about 5 minutes (allows it to thicken). Fill each muffin cup about 3/4 full. I was able to get 9 muffins out of this recipe. Bake for about 18-22 minutes, until a toothpick comes out clean when inserted into the middle of a muffin and they are golden brown on top. Remove from oven and let cool. When using the silicon liners I like to remove the muffins from the liners and place on a cooling rack as soon as I can do so without burning my fingers. When using paper liners I like to remove them from the pan and place on a cooling rack as soon as possible. I find this helps avoid steaming the muffin bottoms. I’ve been craving muffins! So I found this incredible recipe without grains (using along and coconut flour) so I’m excited to try it out! Yum! These look great! 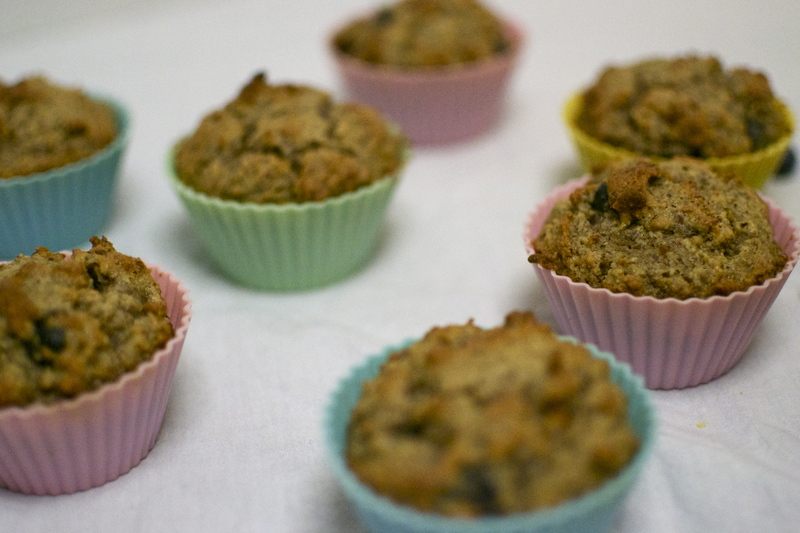 Muffins are one of those comfort cravings-good any time of the year! Same!! Can’t get enough of them! I’m hooked on muffins made with almond meal as well. I’m going to try yours next time. I just wish I could find coconut flour here in China. I wonder if i could just blend coconut up like I do my almonds? what a bummer that you can’t find it!!! will any sites ship to you over there?! I’ve seen it on a bunch of health food websites! No shipping to mainland China but I think if I use the nut option on my blender I can make coconut flour. 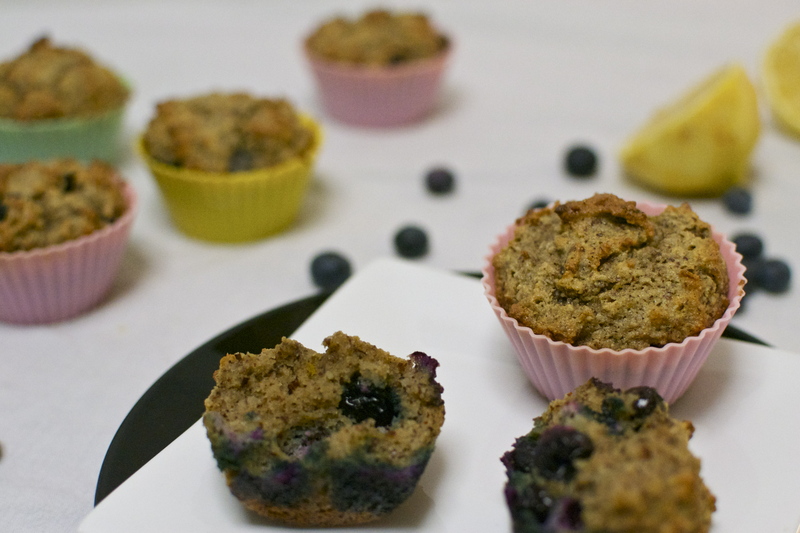 I used it in my Paleo muffins in the US and it made a very yummy difference. Loving your blog by the way! Hey Courtney, I tried this and it’s super super good!! Best muffin ever! 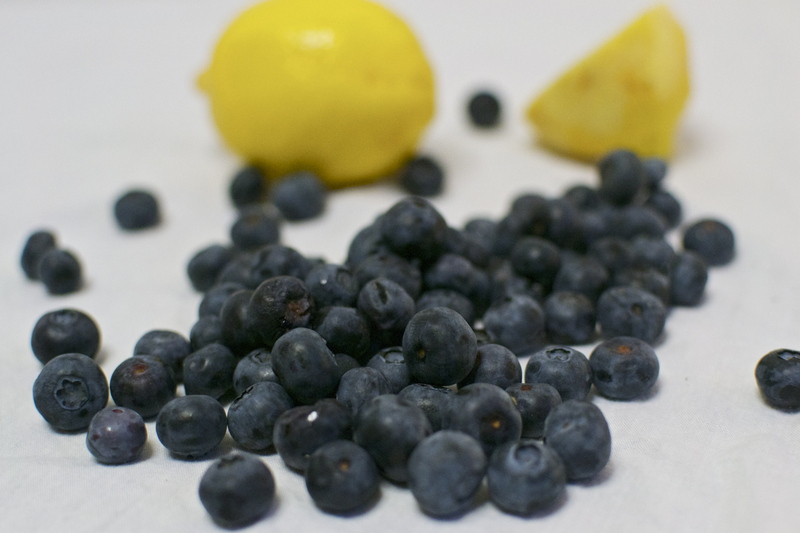 The fresh blueberries and lemon zest were fantastic together! Almond flour and coconut oils have it a nutty flavor and I added turbinado sugar crystals to the top to make it pretty. Definitely will do it again!! Hope you saw my post, I linked it to your site. Thanks!! My name is Marlina !! lol soo glad you enjoyed them!! I love blueberries and lemon together 🙂 I saw your post, thank you so much! You rock !! Omg! I’m so sorry! I got you and another blogger mixed up! I even linked it right and still got it wrong! I love this recipe! lol – Sorry about that Marlina! Hi Marlina! I looove your blog and I just subscribed to it! I am gluten/dairy/soy free as well as low carb/pretty much Paleo. Super excited to try the bacon wrapped chicken, lemon sage steak and the grain free granola. xo! Omg, made these with orange zest and gluten free dairy free chocolate chips. Amazing!! 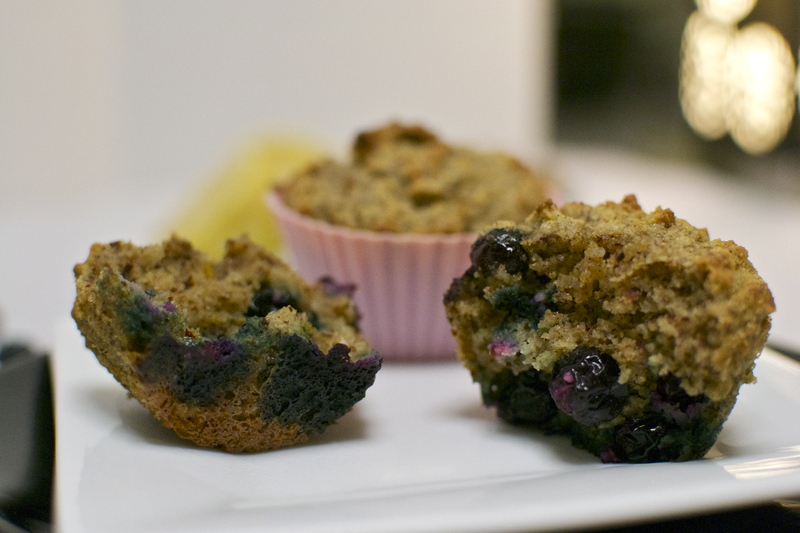 Super awesome blueberry muffins too!! yum sounds amazing!!! thank you so much 🙂 !! These look delish! Would using frozen blueberries work, do you think?